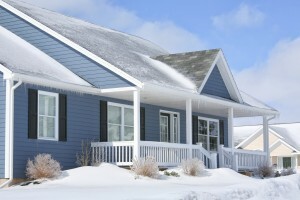 Why should you list your house in the winter? Prime time for home shopping is in the spring. The weather is nice, the kids are on a break, and there is plenty of time to decide. However, for the seller, the best time to list your house is in the winter. Believe it or not, homes listed in the winter not only sold faster, but they often sold for a higher price than they would have had the seller waited for spring. Today we’re going to be getting into why this is and what you can do to sell your house successfully in the winter. One of the biggest reasons for this is that winter usually provides less competition. Most people want to list their houses when the buyers are going to be at their peak, meaning the Spring. Less competition means that your home will shine brighter among its competitors. Not only that, but the kinds of buyers looking to purchase in the winter tend to be on a tighter deadline. They need a house quickly and their need for a place to live is going to overshadow their desire for a lower price. How can you make the most of listing your house in the winter? Rather than hiking up prices to take advantage of the smaller market, you should keep your pricing conservative and list it at market value. A price that is too high will deter buyers and if your house doesn’t sell during the winter, spring listings may come along and make it obsolete. Another thing to consider when selling in the winter is that your home should be a warm, inviting place. Heating and insulation problems are going to be much more obvious during the colder months, so make sure to tune them up before putting your home on the market. Interested in selling your Maryland home? We can help you get the right Title Insurance! This entry was posted on Friday, November 4th, 2016	at 7:50 pm	and is filed under Selling a home . You can follow any responses to this entry through the RSS 2.0 feed. Both comments and pings are currently closed.